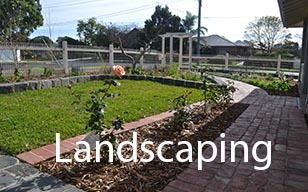 Our key landscaping and garden service specialty is in restoring existing gardens. We take neglected, messy gardens and restore them to their former glory! Or perhaps you’re dreaming of a brand new garden look? With our knowledge, skills and expertise in gardening and landscaping, we can advise and help you plan the garden that best suits your needs, budget and maintenance requirements. Fencing choices in Melbourne has never been greater and Heritage Property Maintenance has all the solutions, whether you need a new fence built, and existing one fixed or painted to give it a new lease of life. We have access to a wide range of fencing materials and a complete range of fence and gate accessories for all homes. Timber Fencing, Colourbond Fencing, Picket Fencing, Merbu Fencing, Lattice Fencing, Security Fencing and much more. We will provide you expert advice on types of material and styles available to best suit your property, needs and budget. Heritage Property Maintenance can cater for all your painting needs, including expert preparation of all surfaces for a long lasting, quality finish. 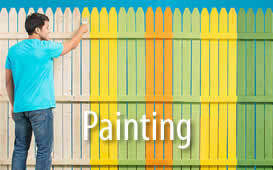 Our painting services include interiors, exteriors and fence painting. When placing your property on the market it maybe time to give your house and garden a clean and spruce up! We will use our expertise to assist you in making the right choices for you home in order to give you the competitive edge. Potential buyers need to imagine themselves living in your property, so it’s important that you present your property fully, without concerns and leaving those potential negatives ‘must get those items fixed, cleaned up, or updated,’ sorted for you quickly, effectively and to quality standards. We provide tenants, property owners and real estate agents end of lease, or in many cases before the commencement of lease full property maintenance. This can include such services as rubbish removal, gutter cleaning, general plumbing, general garden maintenance, and other home handyman services. 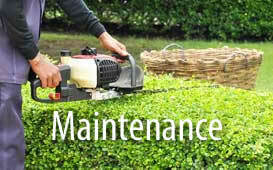 We take a great deal of pride in the quality and workmanship of all our maintenance and handyman services. We provide an honest, reliable and friendly service and invite you to call us on 0420 497 882, to allow us to assist and quote you on any job large or small. We do it once and we do it right! Copyright 2015 Heritage Property Maintenance. | All rights received.